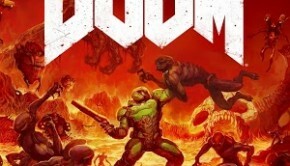 Mick Gordon has been active in the gaming scene for years and years, but only recently – with his metal-ish score to 2016’s popular Doom – does he seem to have made a real name for himself. 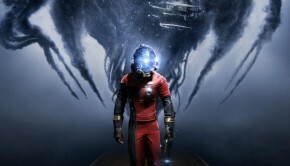 And now he’s provided his musical voice to another AAA title, Prey. Despite both games being very action-oriented, the settings are completely different: from Doom’s depths of hell to Prey’s space station. How does Gordon’s music reflect all this? 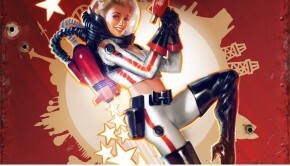 “The Experiment” opens the album, an appropriately foreboding track with cool synths and Gordon’s trademark guitar. Then out of nowhere a very distinct wailing electronic howl pierces your eardrums, a sound very reminiscent of Sun Araw’s “Deep Cover” as heard in Hotline Miami. “Everything Is Going to Be Okay” (an ironic title if I’ve ever seen one) couldn’t be more different however. Its rapid-fire electronic beats remind one of Masashi Hamauzu’s “The Hanging Edge” from Final Fantasy XIII, interestingly enough, but the track soon goes into full-on disco dance mode. “Typhon Voices” is another experiment in electronic manipulation of sound. At the center of it is a dissonant ‘motif’ around which Gordon layers all kinds of subtle effects. The overall feel is one of nonstop tension. This tension is then released in “The Phantoms”, the main action track. As you can expect, it’s heavy on the beats and creepy sound effects. Gordon keeps the sounds he uses – and the way he combines them – fresh so the track always keeps you on your toes. Gordon then does something of a 180. He bids farewell to the action and oppressive atmospherics and goes into brooding mode. “Human Elements” is built around a simple melancholy motif. It ends up sounding like something out of Deus Ex: Human Revolution and you start hoping it’ll reach a similar level of transcendence. Sadly, it never does. The manipulated guitar sounds return in “The Truth Will Set You Free”, a rather heavy track that unfortunately never goes anywhere. “No Gravity” is even more acoustic-sounding than earlier tracks like “Human Elements”, the guitar starting to sound like an actual guitar. 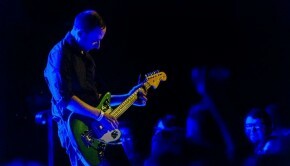 Throughout the album, Gordon makes a point of contrasting personal minimalist passages with ominous sound design, which in “No Gravity” includes a creepy effect that sounds almost human, almost… “Alex Theme” follows suit with a bright melancholy guitar sound and even a piano, all the while strange foreboding sounds whir and buzz in the background. “December and January” maintains the melancholy mood, but provides a more rhythmically propulsive setting with choppy synths and a smooth bass sound. Again though, there’s just too little development for the track to really hold one’s interest. Same goes for “Neuromods” which starts off promising, but never really goes anywhere. There’s also a handful of tracks by co-composers Matt Piersall, Ben Crossbones and the game’s director, Colantonio. Piersall’s “Into The Tunnels” is probably a textbook case of a track working just fine in the game, but sounding too workmanlike outside it, its arpeggios just too familiar, its rhythms just too dull. Crossbones’ “Stranded” is the most cinematic of the bunch and even includes some string synths. The composer also wisely follows in Gordon’s footsteps by juxtaposing the solemn melancholy sound of a (manipulated) piano with dark atmospherics. The last two ‘synthy’ songs by Colantonio and Piersall, “Semi Sacred Geometry” and Mind Games”, will prove to be an acquired taste for some. And on album, they hurt the flow, because (as with “Everything Is Going to Be Okay”) the difference between them and the rest of the tracks is more noticeable. Also, note that the album version of “Semi Sacred Geometry” has male vocals as opposed to the game’s use of Mae Whitman’s vocals. Why this decision was made is anyone’s guess. 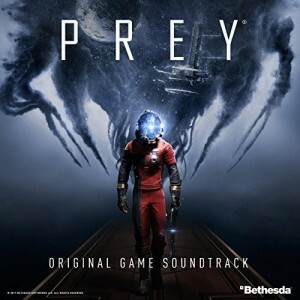 Modern science-fiction scores tend to be more about cultivating a unique soundworld than creating complex compositions and Prey is just one more example. Fortunately, Gordon’s electronic stylings are quite good and his use of the guitar gives the score a distinct sound. The number of moody tracks is also a pleasant surprise, though their hypnotic repetitive ‘melodies’ (if you can even call them that) don’t really leave a lasting impression beyond their in-the-moment impact. And that’s basically the entire soundtrack: convincing stuff while you’re listening to it, but not exactly four star material. Posted on June 21, 2017 by Lucas Versantvoort. Last modified on June 21, 2017.